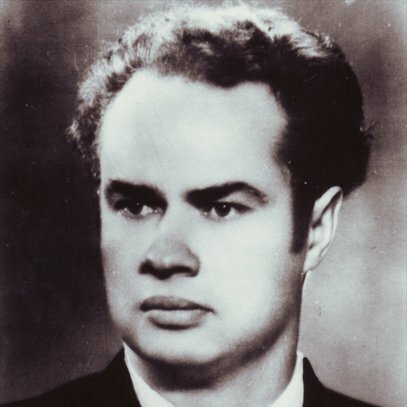 Juozas Indra (1918-1968) has secured his place in the history of Lithuanian music as opera soloist, conductor and composer. Despite the fact, that his ballet "Audronė" and program symphony "City of Ruins" are considered his most popular compositions, arrangements of Lithuanian folk songs, where he continued tradition of Mikalojus Konstantinas Čiurlionis, Stasys Šimkus, and Juozas Gruodis, comprise the most substantial part of his output. He also wrote music for several films, theatre plays, a number of works for various instrumental ensembles, although most of them survive as fragments or different variants. 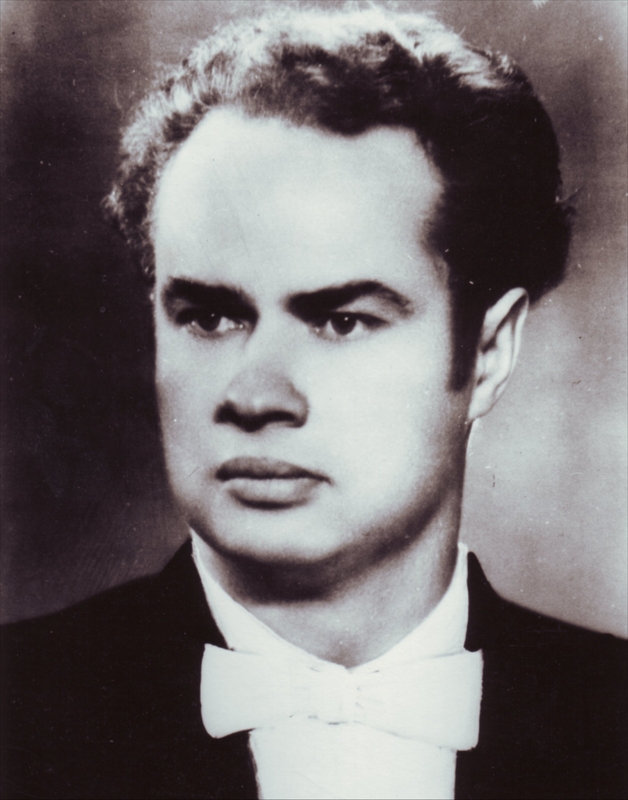 Juozas Indra (1918-1968) has secured his place in the history of Lithuanian music as opera soloist, conductor and composer. Despite the fact, that his ballet "Audronė" and program symphony "City of Ruins" are considered his most popular compositions, arrangements of Lithuanian folk songs, where he continued tradition of Mikalojus Konstantinas Čiurlionis, Stasys Šimkus, and Juozas Gruodis, comprise the most substantial part of his output. Juozas Indra's opera soloist career began and ended in Vilnius. In only ten years he appeared in 25 roles. Juozas Indra-conductor's formation was significantly influenced by his work with wind orchestra and in opera studio, involvement with piano and composition as well as singing on opera stage. Juozas Indra has put together and conducted around 30 different performances in Kaunas Musical Theatre. Juozas Indra (Juozas Padleckis until 1943) was born in Pavietava (Jurbarkas district) on March 18, 1918. His first music teacher was his brother Stasys Padleckis. In 1936 Juozas Indra joined the orchestra of Kėdainiai Third Infantry Regiment. In 1938-1945 (with interruptions) he studied singing with Eugenijus Vittingas and Petras Oleka at the Kaunas Conservatoire. In 1943, during the troublesome war period, he made his opera debut in Vilnius Opera, gave his first public concerts. Up to his deportation in 1945, he was a soloist with Kaunas Opera Theatre. J.Indra spent three years in exile in Komi ASSR, where he performed in Philharmonic and Musical Theatre in Vorkuta. In 1948-1954 he taught at the Lithuanian Conservatoire, in 1948-1853 was a soloist with the Lithuanian Opera and Ballet Theatre, and in 1954 took a conductor's position in Kaunas Musical Theatre. Juozas Indra died in Kaunas on March 14, 1968. As a composer Juozas Indra was significantly influenced by Lithuanian folk music. Indeed, arrangements of Lithuanian folk songs for women, male and mixed choirs, duos and soloists constitute the main part of his oeuvre. He also composed a considerable number of solo songs. His interest in this genre is manifested in his choral works as well, with emphasis on one voice as a soloist. Instrumental accompaniments vary from traditional piano and folk instrument ensemble to string quartet, piano trio and symphony orchestra. In his arrangements he predominantly employed principles of pedal point and ostinato bass. For his ballet "Audronė", dominated by national character, Juozas Indra was awarded Lithuanian Republic Prize. He is also credited for writing the first Lithuanian program symphony - "City of Ruins" after poem by Salomėja Nėris. He also wrote music for several films, theatre plays, a number of works for various instrumental ensembles, although most of them survive as fragments or different variants.